Inviting people to email me with questions is my top tip for generating blog ideas that are right on target. Questions are how your readers frame their problems. And when you solve those problems, you help people – make life easier for them. And that’s one of the most powerful ways of engaging with someone … just like in real life. All you need for one blog post is one question from one person. That’s because even though only one person has asked, there’s a good chance that many more people have wondered the same thing. Solve that one person’s problem and you’ve probably solved a hundred people’s problems. My Q&A series is built on precisely this premise. When someone emails me with a question, I tell them that I’ll write a detailed answer for them on the blog. The answer won’t be generic, but specifically for them. My articles are often quite broad-based – they aim to talk to lots of people at once: how to create a resource hub, which proofreading courses I recommend, grammar rules and preferences, online writing courses, how to price proofreading and copyediting projects, and so on. The blog post I created in response to that was written just for her. And, yet, two people emailed me after I published that post to thank me for it because they, too, had conditions that affected their fine motor skills and wanted some guidance on how that might impact on their ability to build a freelance editorial business. So that’s one question, and three people’s problems solved that I know of. I reckon there are plenty of other people out there who didn’t contact me, and never will, but who might have the exact same question. I make sure I stamp each Q&A blog post with a banner that identifies it clearly as part of this series. And at the end, I always include an invitation to get in touch. I think it’s a good idea to offer to mask a person’s identity. Some readers feel uncomfortable about asking questions in public. The reasons are varied but include worries about being judged or appearing to lack knowledge and experience. The reality is that none of us knows everything. We’re all learning … and always learning. I have plenty of answers up my sleeve, but I have a ton of questions, too. Sometimes I’m happy to ask them in public; other times I choose a more intimate space. At all times, trust is essential, so if you offer a Q&A-style service on your blog, take care to ensure that all parties are on the same page about what personal information will be included before you go live. I now have a dedicated form that Q&A participants fill in. This includes a section where the questioner can tell me whether they’re happy for me to use their first name, or if they want this and other identification markers masked. Don’t be afraid to tackle issues that you think are ‘easy’ or ‘simple’ or ‘basic’. Anything’s easy when you know the answer; when you don’t, the solution seems unreachable. I’ve been adding video into my marketing mix – shorties that introduce blog posts and resources I’ve created for self-publishing authors. I posted one of those videos into a marketing forum to get some feedback. My pal Mark Orr, an expert in smartphone video creation (Pocket Video School), told me that the resolution and head-positioning were off. There are, it turns out, fixes to both these problems, but they’re only straightforward when you know them. I didn’t, and it wasn’t until Mark and I had a proper chat on Skype that we worked out where I’d been going wrong. Something we discovered during that conversation is that there were about 20 more questions that I didn’t know the answer to but which were a doddle for him. He helped with all of them, but he told me I’d helped him, too, because I’d given him a few ideas of what to vlog about. Now, Pressfield has a point. There are no doubt thousands of online resources that will answer the question, and if you’re not interested in building an online platform that gets heard over the cacophony that is the internet, then you’ll sympathize with him. But – and it’s a huge but – if your blog is foundational to your visibility and you see it as a valuable tool for communicating and sharing with your colleagues and clients, then a ‘clueless ask’ is NOT a frustration. It’s a gift – and a precious one at that. It’s precious because it helps me publish articles that I know at least one person wants to read, articles that will help someone, and make their life easier. Every time someone asks me something that I think is easy, or obvious, or simple, or has already been answered elsewhere, I am reminded that my questioner asked me. Which means they came to my website, took the time to engage with me, chose to trust me (just like I came to trust Mark). That’s amazing, especially since we’re usually strangers to each other. And since they’ve privileged me with a visit, I’d like them to stay rather than nipping off somewhere else … and talking to someone whom they deem more helpful than me. A good blog is a helpful blog. And even if the content I post has been answered by someone else, somewhere else, the questioner couldn’t find it or didn’t go looking for it. They asked me. That means it’s worth having on my blog. And if they ask you, it’s worth having on your platform, too. Plus, each of us will answer in our own unique ways – with our own voices and experiences. Each of our approaches might differ a little or a lot. Either way, the internet is big enough for a multitude of voices and approaches. All of us can be part of the conversation, so my advice is to see the question (however basic) as a giant opportunity. In ‘How to build a web presence that outsmarts, outperforms and outlasts the search engines’, Stoney deGeyter discusses how back in 1998 it was relatively easy to get the attention of the search engines. Good Google rankings could be found with the right keywords and links. These days, that’s not enough. Now, it’s about ‘creating a web presence that people love’. That means gearing it towards the audience, not the search engines. What better way to gear a blog towards an audience than answering the questions your audience has? Inviting questions is one way of working out what problems need solving. But there are others, too. The key is to be clear about whom your intended audience is and where they’re hanging out. Once you know that, lurk and listen. Who’s asking what? I hope this has given you some ideas about how to generate blog content that’s of genuine use to your readers. Inviting questions isn’t the only way, but it’s one I love because it personalizes my blog space and puts me in direct conversation with my readers. I'm more than happy to tackle questions, especially from beginners. If there's something you want advice about, drop me a line and I'll post a solution to your problem here. The more focused your question, the more in-depth my answer will be! And if you want me to mask your identity, no problem. Are you fed up with your 404 page? Worried that your clients are too? Broken links are broken conversations. Here’s a wee idea I came up with to fix the disappointment and get you and your visitors talking again … using a chatbot. ​What is a 404 page? When you hit a 404 page on a website, you feel frustrated. You’ve gone to that site for a reason – you’re trying to solve a problem, or learn something new, perhaps even buy a service or product. And if the page you’re searching for has been moved, or if the link you’ve clicked is incorrect, you end up in a place you don’t want to be. It’s a dead end. If the website’s owner has been thoughtful, there’ll be a search box or menu to help you, perhaps a list of links that might be useful. And since you’re already in a grumpy mood, you’re more likely to disengage and leave the site. After all, someone else is probably solving your problem, and maybe if you head back to Google Search, you’ll find a fix rather than a 404. I’m a fiction copyeditor and proofreader and I love marketing my business! I regularly publish free booklets, PDFs, checklists and templates for fellow editors and proofreaders, and self-publishing authors. I share news about that content via social media and on my blog. A few weeks ago, I set up a free account with ManyChat. I created Lulu, my Messenger bot. She’s my digital assistant and she’s great – most of the time! We’ve had a few glitches … some digital napping on the job … but in the main she’s successfully helped me deliver my resources to my Facebook network. Instantly. I learned how to build Lulu from my two favourite pro content marketers Andrew and Pete. August was their ‘Build Your Bot Month’ and four in-depth tutorials taught me everything I needed to know to get going. If you want a taster, hop over to YouTube and watch ‘Get Started Using Messenger Bots in Your Marketing with Andrew and Pete’. All well and good. But was there other ways I could use Lulu to help me engage with my community of editors and authors meaningfully? Recently, I was looking for something online. It took a while to find what I wanted, but find it I did. Or nearly. The link looked good but landing was a disappointment – a 404. The site was busy and I had no clue where to start. So I did what a lot of people do online. I gave up and went somewhere more interesting instead. That’s not what I want people doing on my site. I want my authors and colleagues to feel that I’m there for them, ready to help, ready to engage. Could Lulu help? I decided to get Lulu on the case of my 404 page. I have a lot of content on my website, and even more external links to that content. I’ve been blogging regularly since 2011, and I’ve changed things around on my site more times than I care to mention. And while I do my best to set up 301 redirects when I make changes, there’s no doubt that there are external broken links about which I can do little. ManyChat has a bunch of growth tools including two embeddable widgets. One is an opt-in box that can be placed anywhere on a website. Because they’re contacting me via Messenger, they can get in touch instantly. Which means I can help them quickly. And the quicker I help, the less likely they are to get the hump and go somewhere more interesting instead. What’s great about this widget is the customization element. You can choose colours, images and messages that reflect your clients’ needs and your solutions. It matters not whether you're an editor like me, or an author, or another type of business owner ... the widget will work for anyone with a website. The ManyChat widget allows us to work with Google’s recommendations: apologetic, friendly language that acknowledges the problem; colours, language and images that are on-brand; clickable links to key pages and core content; and the ability to report the problem directly via an instant conversation. Landing on a 404 page is a negative experience for the visitor. A chatbot turns that negative experience into an opportunity, one that offers a series of calls to action. By including a discussion in the mix, we can offer one-to-one engagement. And it’s fun! We’re putting a smile back on a frustrated client’s face, and that can only be a good thing! Have you used a chatbot for your own 404 page, or as a way of engaging with your clients and colleagues? Let me know in the comments! The ‘self-publishers’ page on my site is a content hub. I call it Louise's Writing Library. 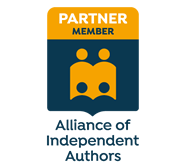 It’s where potential author clients can find lots of resources to make their lives easier. Each resource has a picture. Clicking on that picture takes the visitor to a blog post, a Word file or a PDF booklet (though it could just as easily link to a video, podcast or Excel spreadsheet). It's much easier for a visitor to navigate from one resource to another when you offer clearly titled images in one place than it is to find what you want in a search bar or blog archive. And if they get distracted, it’s easy to start the content review process all over again back in the hub. That might not be so easy if they’re on a 7-year-old blog with several hundred articles on it, especially if the ones they want to read appear in different subject- or month-archives. Your visitor can also bookmark a hub page on your site. They can’t do that with a list of results generated by your search bar. They can probably bookmark an archive, but that will only show the first article or two on your blog, not a chunk of your core resources at a glance. The more goodies you offer visitors, the greater their engagement. That’s good for obvious reasons – you’re helping your clients, showing them you’re engaged with their problems and are willing and able to solve them. But there’s another important reason. The longer someone sticks around on your site, the more likely they are to hire your editorial services. It’s no surprise, really – I don’t stick around in a high-street shop, desperately trying to find that one thing I want, if the overall feel of the place and the products it’s selling don’t feel like me. But if I keep finding things that grab my attention, I’m much more likely to walk out of the door with a bag full of something nice. Editorial websites are no different. If your hub makes potential clients drool because you’re offering them a lot of free, helpful, valuable content, if it makes them feel that you get them, and that you’re a good fit for each other, you have a much higher chance of persuading that person to ask for a quote or a sample edit/proofread. Content hubs are perfect for reinforcing your brand identity because you can create a uniform look and feel by theming your images with consistent colourways, fonts, and design. Include a few lines of text at the top to explain who your resources are for, and what problems they’ll solve – your mission, so to speak. My brand identity is premised on a passionate support for the independent author’s right to write, and my empathy with their self-publishing journey (having done it myself). ​​This self-publishing library is packed with resources to make your writing life easier. All the books, articles, videos and podcasts are available instantly. No email address ... just click and grab. ​And here's a partial shot of John Espirian's Learning Zone. John's hub has a very different feel to it, and so it should. His brand identity is built around a different set of skills, services and target clients. With a hub you can offer a chunk of accessible information that solves multiple problems. That presents you as an expert who sees the big picture. It’s not a labyrinthine process of discovery that involves extensive scrolling or putting the right keywords into a search box. Rather, you hit them in the heart with a message that you’re on their side and have their backs. If your hub can generate excitement in your potential client – make them feel that they’ve found an editor or proofreader who’s completely on their wavelength, someone who’s demonstrably in touch with their struggles, and is offering resolution – that’s a powerful message. And it’s one that’s more likely to get your visitors telling others about who you are and what you’re up to, and have them clicking the Contact button. I cherish my blog, The Parlour. I’ve lovingly filled it with articles on a weekly (mostly) basis since 2011. But things can get messy. There’s a sidebar with a subscription button, an RSS button, a search box, an archive by subject area, an archive by date, some links to my book, and more. Plus, I love to write meaty posts. Most of my articles are at least 1,500 words long. And while I do include images and header stamps that summarize what’s included in each post, there’s an awful lot of text. That’s not all. There’s a lot of scrolling to do if someone wants to glimpse what’s available on one page of the blog. A content hub is much easier on the eye and allows my author visitors to see at a glance what’s on offer. Back in the day when I worked exclusively for publishers, my blog posts were aimed at my colleagues. These days I work pretty much exclusively for indie authors, and now I’m creating content for them, too. So I have two audiences, and two types of content. It’s about a 50–50 split. Creating resource hubs helps me to segment my website so that the right people can find the relevant content. This is particularly important for my author audience because most of them don’t yet know me. They’re less likely to bounce around in my blog, diving from one archive to another in a bid to find what they need. Many of my colleague visitors do know me, at least in an online capacity. And so they have a little more patience because I’ve already built a trusting relationship with them. They’re more likely to spend time rooting around the Parlour for what they want. I do have a Resources page for them, but it houses fewer pieces of content than the author content hub. What if you have a tonne of great stuff in your head or listed on your content-audit spreadsheet, in production, out with the proofreader, or already scheduled for publication sometime in the next few months.? That’s not visible on your blog. Your blog only tells people about what’s available. What’s coming might be equally appealing. They might be more likely to sign up if they can see there are some exciting things in the pipeline. Certainly, a great content hub will increase the likelihood that your visitor will hit the contact button, but not everyone will be ready to make that commitment. Still, it seems like everyone and their aunt has a mailing list or newsletter these days. And if you’re going to persuade someone to allow yet another email into their already crowded inbox, and make them want to actually open it, displaying a hub of gorgeous resources might just be the tipping point – the thing that makes them think you’re worth it. Make sure your hub includes a way of signing up to your mailing list, and a clear call to action that tells the visitor what you want them to do, and why. Make your wonderful editorial content easy to access. Whether it’s a blog, a vlog, a podcast, or something else, help your potential clients navigate their way around your resources and show them all the marvellous stuff on offer. Tell them who and what it’s for – how it helps, which problems it solves. Explain whether it’s available instantly or whether some sort of access sign-up is required. ​Finally, make sure it’s designed uniformly (Canva is your free friend – trust me!) so that each resource looks like it’s part of a stable. That way it’s not a hotchpotch of stuff; it’s valuable, client-focused content that represents you, your editorial business, your professional values, and your mission – your brand identity. Today's article is all about optimizing your proofreading or editing business website so that it works for clients using different device types. My website is the single biggest driver of my proofreading and copyediting work. It’s therefore essential that it shows potential clients my best face. ​I’ve spent years tinkering – tweaking current content, adding new information and removing text and images that have outgrown their usefulness. ​It takes my chosen desktop theme and adapts the design for optimal viewing on a smaller device such as a tablet or mobile phone. This function has been available for several years. I can’t remember when I became aware of it, but I figured it made sense to switch it on because I couldn't imagine anyone with a smart phone having the patience to navigate through my content if it wasn’t mobile friendly. I congratulated myself on being so forward-thinking, and carried on as normal. Note: If you're unsure whether your website is mobile friendly, it's easy to find out. My colleague Averill Buchanan alerted me to Google's Mobile-Friendly Test site. Is it pretty, or pretty awful? Most website-hosting services help non-designers like me to make our websites look pretty. They give us dividers, shaded boxes, spacers, columns, textboxes and image placers to enable us to put our content exactly where we want it. The result is that on the desktop version, at least, everything looks just so. You might be the kind of person who likes to keep things simple – you might have opted for minimal text on your site, and the text you have placed might not be broken into separate textbox elements. To date, I’ve not been this kind of person. I’ve overly complicated things, and, I might add, it hasn’t done me any favours. Here’s just one example. Now, back in 2011, when I first typed this information into my contact page, I didn’t like the vertical alignment of the information after the colons. Weebly doesn’t allow tabbing, so I created two textboxes (below, outlined in red) and placed them next to each other in two columns. This wasn’t Weebly’s fault, it was mine. Weebly’s mobile optimization tool was working perfectly logically – finding content in a single textbox and ensuring that said content remained unbroken. The solution was simple – I had to restore my original layout, putting all the text back into a single box – but the impact was huge. It’s not perfect (there are unsightly end-of-line breaks on smaller mobile screens), but it’s a far more sensible and logical design for my mobile visitors. I’ll shortly be making decisions about how to reword this information so that I can remove the unwanted wordbreaks – it needs some care because I don’t want to compromise the design of the desktop view. What devices are my visitors using? Different customers will use a variety of different devices to access my content. For example, not all customers have a smart phone; and even if they do have one, they might prefer to access web content on a larger screen. One customer might use multiple devices to access the same content. For example, I tend to access web content using my tablet at home during the evening, my phone when I’m out and about, and my desktop during working hours. A webpage that looks perfect on a mobile might be less pleasing to the eye on a desktop screen, and vice versa. I’m under no illusion that I can optimize my design for every potential client all of the time. But paying attention to the mobile display has been a learning experience for me. ​I’ve discovered that I’ve not been showing my best face, and that’s simply not an option in the current market. I know this because my data tells me so. Honestly, I’ve only recently started looking at data about which devices my visitors are using. The following was taken from one of the analytics programs I use, StatCounter. ​The above image shows two days’ worth of data (8–10 October 2016). A whopping 30% of my visitors used mobile phones and tablets to access my content. Some tablet screens are big enough to make browsing my website in desktop view perfectly palatable, so some of the visitors using these devices may not be looking at a mobile view. Here’s the thing, though – I don’t know which view they’re seeing and it’s not under my control. It’s therefore important that I do what I can to put my best face forward, just in case. ​Even one lost customer who searched and found me via their mobile, and then dismissed my services because my content was illogically presented, is something I want to avoid. My friend Andy McNair, who’s forgotten more about website analytics than I’ll ever know, pointed out that two days’ worth of data could be horribly skewed by a range of factors. He prompted me to dig a little deeper using my Google Analytics historical data. In 2016, 1 in 5 visits to corporate communication sites are made on smartphones. Tablet has been static at 1 in 20 for the last 3 years. Desktop is still the most important group so don't cripple your user experience there. The crucial thing is to look at your audience in analytics and then work out how vital a mobile-friendly site is to your audience. If you're using Google Analytics, it's easy to compare this quarter with the same quarter last year – a couple of days can be horribly distorted by a handful of users on a small-traffic site. Another thing to consider is that (in general) mobile visitors have shorter attention spans. They visit fewer pages for less time and they are more than 50% likely to "bounce" after a single page. You can see these stats for your own site in Google Analytics in Audience>Mobile>Overview. Check your mobile 'bounce' against your desktop – if it’s much higher, then it suggests people are finding you on mobile devices but your site is putting them off. The final thing to bear in mind is that the tasks people perform on mobile devices tend to be different to big-screen devices. I would suggest making your contact details very easy and simple to find – they should always be front and centre on any marketing site but if your client is looking for you on their phone there is a possibility they might be, you know, thinking about phoning you! I followed Andy’s advice and compared data in four quarters (August–October) from 2013, 2014, 2015 and 2016. The percentage of mobile-user visitors has more than doubled. In 2013 it was 1 in 10. In 2016 it's 1 in 5. Tablet use has remained relatively static. The desktop view still easily dominates. This rather basic analysis supports Andy’s industry view and has encouraged me to continue to work on my mobile optimization to ensure that it’s user-friendly, while respecting the fact that desktop visitors are still the most important group. Therefore, mobile responsiveness mustn't come at the expense of the desktop-user experience. I think like a desktop user, as I’ve primarily used a desktop or tablet to view content, and I’ve accessed that content in desktop view. I tend to consider the design of a webpage from a human visual point of view, rather than from the point of view of an automated tool. I’ve failed to consider the logic of automation – for example, what is the widget looking for when it ‘decides’ to move several horizontally displayed elements into a vertical layout? I now know that I need to think less like an editor and more like a designer and a potential client when I’m building webpages. Keeping an eye on user behaviour is a work in progress, but I'm on the case. Four years ago, mobile usage mattered less. Now, to me, it matters twice as much (though the desktop-user group is still by far the most important). So, take a look at your analytics to assess what devices your visitors are using. If mobile has become more important and your website host allows you to easily optimize your design for mobile devices, without compromising your core visitor group, do use the function. But check that the results are showing your best face. ​A few small tweaks could make a very big difference. ​More importantly, they could turn a closed page into a closed deal. * If you’re a Weebly user, and you’re not sure whether you’ve optimized your website for mobile devices, open up your dashboard, go to your site, click on the Settings tab on the ribbon, scroll down to Mobile, and make sure the ‘Display the mobile-optimized version of this website when someone visits from a mobile device’ box is ticked. To take a quick look at how your content is being displayed on mobile devices, choose the Build or Pages tabs from the ribbon, and click on the Device Switcher icon (also on the ribbon). A word of caution: I’ve found that after toggling back and forth between the desktop and mobile views in Device Switcher, I have problems making some types of amendments to my content (for example creating bullet points, italicizing and moving textboxes). Don’t worry if this happens to you. Simply exit Weebly and reopen; you’ll be able to amend as required. This time around I take a look at the benefits to be had by creating an online portfolio of editorial projects. Below is a summary of the key points, but you can read the article in full here: The Proofreader’s Corner: The Power of the Portfolio. Think of your portfolio in terms of what it tells the people you want to hire you – your target customers – rather than your friends and colleagues. Don’t over-fret about clutter – it’s about the quality of the information, and what it tells the client about your proven ability to solve their problems. Consider the information you incorporate into your portfolio in terms of key word searches – that is, how it might help clients to find you. I feel almost cheeky lecturing professional proofreaders and editors on how to write. I don’t quite have the attention to detail that most professional proofreaders have as their stock in trade, and I often hire a proofreader to go over my articles and blog entries to ensure there are no schoolboy errors or any of my grammatical eccentricities. However, there is an art to writing for the internet and social media that is distinct from traditional copywriting skills, and I’d like to share with you some of my insights on how to get copy just right for the web. 1. Always consider the online platform your copy will be posted onto. Writers and proofreaders have to be conscious of where their copy will be posted online, as this will determine the format of the text. As we will see, all the social networks have their own structures and formats that need to be heeded, and a writer or a proofreader needs to be mindful of the tone and the intended readership of the online copy, just as they would if it were intended for offline publication. A lengthy social media post should have a different structure and feel to a blog entry and, if the social media post relates to content posted elsewhere online, thought should be given about how the two relate to each other. Writing for the printed page involves an entirely different sensibility to the one you would use when writing for the computer screen. This is because the way the human eye scans a computer screen is different from how it would read a page in a book or a magazine. The main thing to appreciate is that people are put off when confronted by a web page with a lot of dense text, mainly comprising lengthy paragraphs. While the text may be entirely acceptable and grammatically correct in itself, it may not be the best way of presenting that information to those who just happen to be browsing the web. A good example of this is companies who simply transpose their hard-copy marketing material to a website without any alterations or editing. What works as a four-page brochure will not work as a singular web page, a series of web pages or as social media posts; it has to be adapted to the electronic medium. Whether you are posting to a blog or to a social network, try to ensure that your paragraphs are never longer than three sentences and review how much space they take up on the screen prior to publication. While it can be painful to take apart a beautifully constructed block of text, it may actually be worth it if you want someone to stay on your web page and read the whole piece. When confronted with a block of text, many who are surfing the web will just click away on the basis that it will require too much effort to get the desired information from your piece. People are more impatient and demanding when it comes to retrieving information online than they are when it comes to reading a brochure, book or journal. An extension of this is that many people now read the internet on the move via tablets or mobile phones, where the screens are even smaller. The optimization of a website for such devices is the responsibility of the web host but, when either writing or proofing copy for the web, be conscious of how the site onto which it will be posted will be presenting the text to those viewing it via mobile devices. One of the more opaque and mysterious aspects of online marketing is a technique known as Search Engine Optimization (or SEO, for short). As the phrase suggests, these are series of web publishing activities that a webmaster has to undertake to ensure that their web pages appear high up in Search Engine Results Pages (or SERPs). Despite the predominance of social media and mobile applications to view content online, the search engine remains the first port of call for many when it comes to finding relevant content on the internet, so the importance of SEO discipline when writing online copy should not be underestimated. While a lot of SEO revolves around the technical aspects of how a website is both built and promoted online, an equally large part focuses on the copy of web pages themselves. Forever a moving target for the most part (as search engine companies get wise to cynical marketing techniques used to manipulate SERPS), a true constant in SEO is the repetitive use of certain keywords within the body text and headings of the copy intended for the web. At the point of being commissioned to either draft or proofread copy for the web, you should ask the webmaster or commissioning editor what keywords he or she would like to see featured in the copy (for SEO purposes) and then carry out your work accordingly. If you have been asked to upload copy directly to a website, there are usually ‘plugins’ available for most content managements systems that can analyse your copy from a SEO perspective (Yoast for WordPress is a popular one, for example). SEO does not extend just to web pages and the traditional search engine. Most of the major social networks feature a search engine of some description, and keywords can play their part in the shortest of posts, maybe even in conjunction with using a hashtag (see below). However, you can easily take SEO too far. I have seen and read countless examples of web pages that have distorted intelligibility due to the feverish repetition of keywords and phrases. This, of course, is self-defeating as although you may have made your web page appear in the top ten of Google Search results, all you have done is dragged your potential audience to a bad piece of incoherent, blatant marketing. A balance has to be struck between producing good copy for content marketing purposes and ensuring that copy serves an SEO purpose. My own personal judgement always falls on the side of superior copy over SEO needs, but I don’t discount SEO entirely and have used the aforementioned Yoast to optimize most of my copy for search engines. Each social network and website has its own unique method of use and particular focus or demographic, so be very conscious of that when either creating or reviewing online content. With copy intended for websites, you can summarize information or redirect readers to more substantial content elsewhere via hyperlinks. Whether you are creating copy for a website or have been asked to proof it, I would argue it is always best to either generate or ask for a draft of the copy that has the hyperlinks contained within it. That way, any editor can see how you have verified the claims that the copy is making and/or whether you are redirecting a reader to an appropriate source. Having links to external websites in web copy is another SEO technique, but arguably they also inherently add value for the reader. By providing links, you are providing and endorsing other sources of information; it is the online variant of citing sources for claims or information. Links shouldn’t only be about pointing people away from the website you are writing or proofing for; they should also be used to point to relevant and associated information already published on the website in question. This too can give you more leeway when adapting copy for the web; maybe a print article is best served by being by split into two separate articles hosted on the same site, for example. Away from traditional websites and blog sites, the various social networks have their own idiosyncrasies that have to be respected and fully exploited. For example, there’s an art to writing an effective post (‘tweet’) on Twitter, which I have blogged about extensively elsewhere. The key thing about social media posts is knowing when and how to tag other users and organizations. By doing so, you are alerting those people and institutions that you are talking about them (obviously only do so if you are doing so positively!) so that they can engage and share your social media posts with their own followers or connections on the network in question. All social networks have a way of tagging other users, and I am happy to advise on how to do so if you cannot find the information elsewhere online. One ubiquitous component of writing a social media post is the use of hashtags. Hashtags are a way of connecting your posts online into a wider conversation that’s taking place on the network you’re posting to. I have written extensively on how to use hashtags elsewhere so I won’t repeat myself here, but I would urge you to put any latent snobbery aside about using them, and also for you to use them sensibly and sparingly once you do so. Whether you are writing or proofing a tweet of only 140 characters or a 3,000-word blog entry, the copy must have a clear purpose for existing online. In other words, upon reading your online post, what do you expect the reader to do in response? This is particularly important if you’re writing or proofing online copy that is intended for sales or marketing purposes, and these instructions or directions within the text are known as a Call To Action (CTA). CTAs give the reader a clear steer on what you expect them to do having read your online post, whether that be clicking on a link, signing up to a newsletter or buying a product or service. However, CTAs are not just about sales or promotion; any good writer wants people to respond to their copy in some form or another, and in an online context that response is easier to encourage. For example, you may want people to comment on what you have written, so make sure that the text makes that explicit; don’t just have a series of empty fields at the bottom of an article waiting to be filled in, as they won’t be. You have to be explicit about it. Alternatively, you may want people to share your article. Show me a writer openly publishing content online who doesn’t want a wider audience, and I will give you £1,000! Social media sites and well-designed websites all make sharing articles online via our own networks incredibly easy to do, but (again) it has been repeatedly shown that posts that ask for people to share them get shared more often than those that don’t. You don’t want to go overboard with Calls To Action (I personally find them irritating on occasion), but don’t go without them either. Online marketing and online publishing revolve around engagement, and you certainly want to invite it when and where appropriate. 7. Have you written and proofread all the text required for an online post? When publishing online, more text is required than just for the main article. Text is needed for the meta-description (the descriptive sentence you see under links in search engine results), browser headings and captions for any illustrations or tables used. All of this is really within the purview of the webmaster or the web editor (as, again, most of this is modified for SEO) but if you have an article going out with your name on it or if you have been paid to proof a particular piece, you want to ensure that all of your good work has not been undermined by either sloppy supportive text or cack-handed third-party editing. Writing for the web is different from writing for the page, with new technologies creating new idioms at an overwhelming rate. However, as long as you are suitably streetwise to technical considerations and any new online vernacular, you should easily be able to continue to utilize your writing and proofreading skills without too much compromise or trouble. Nick is a communications professional with over 15 years’ experience of working in both the private and public sector. As Nick Lewis Communications, he’s now using his wealth of knowledge to help small businesses and organizations adapt to the modern online age. A graduate from the University of Wales Swansea, he worked in various marketing roles prior to launching Nick Lewis Communications in 2012. Nick can be found on Twitter, Facebook, LinkedIn and Google+.